Lately I have seen some amazing Doctor Who comics coming out. I even have a few of them. Comics are a great way to get your child reading who may have a hard time. Creating their own comic is also a great way to get your child thinking creatively. I have put together some great Doctor Who Inspired Comic Templates. Your child can work on art and writing at the same time. If your child is not great at art, don’t worry. I have included some characters they can cut out to build their own story. 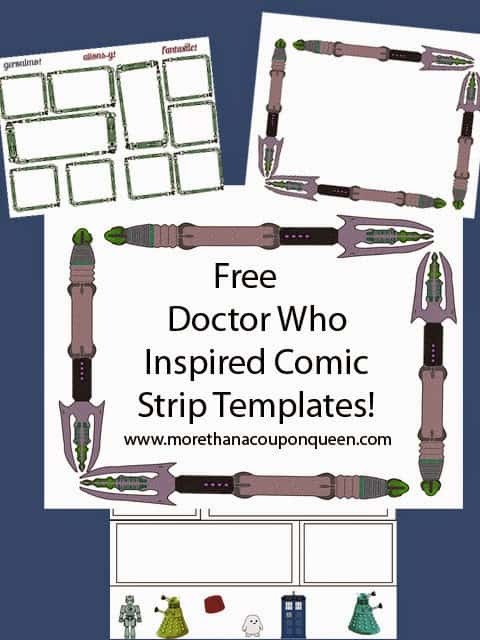 Make sure to get your Doctor Who Inspired Comic Strip Templates. 10 pages of Doctor Who Inspired Comic Strips. In these ten pages some will be traditional block comic strips with images below to cut out for building your comic. There are also strips built of sonic screwdrivers and circular gallifreyan. Did your child do a comic strip? I would love to see it. E-mail it to me or send it to me on Facebook. Christmas is just around the corner. I thought it would be fun to share a little Whovian cheer with you while you wait for the Christmas special.. I mean wrap Christmas presents. Yeah, that’s it. 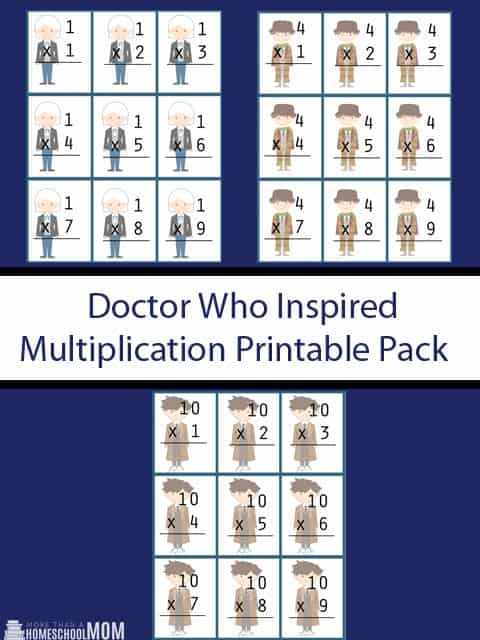 I have put together 3 fun sheets of Doctor Who inspired gift tags to make your Christmas season a little more Fantastic! 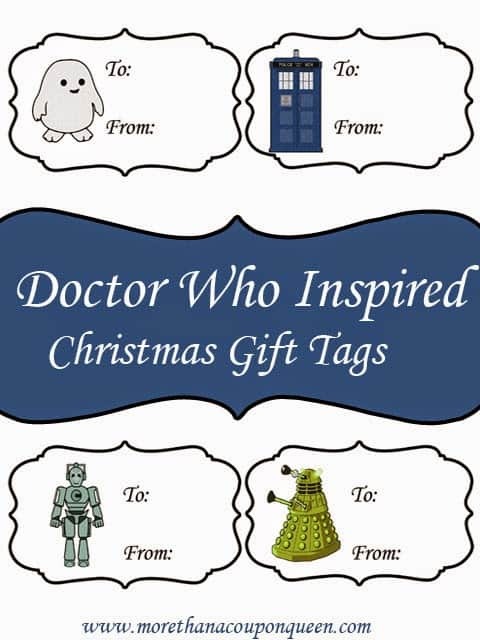 These would be great to put on any of the awesome gifts from my Doctor Who Gift guide!